Can you tell me what is making these huge piles of dirt in our lawn? 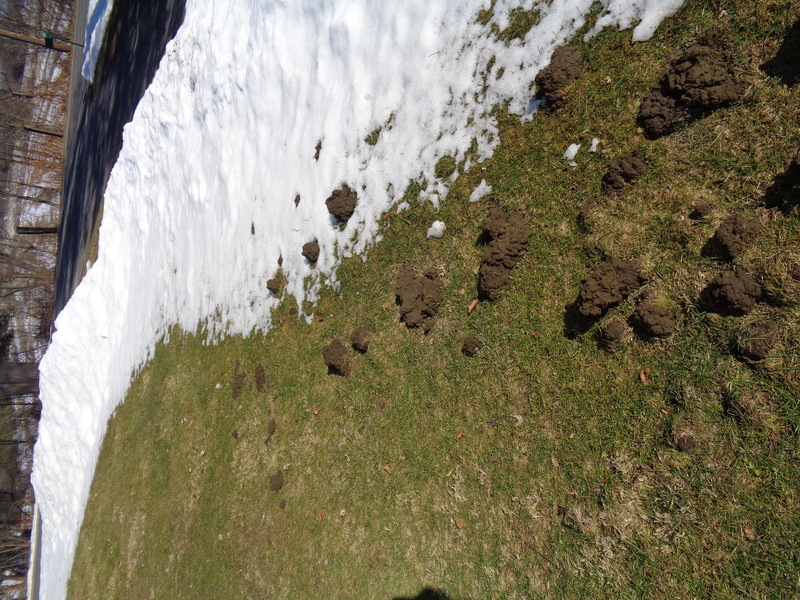 The snow is melting and the ground is active with something burrowing below! The pictures don't show that those brown soil spots are hills of dirt. Thanks for your help. 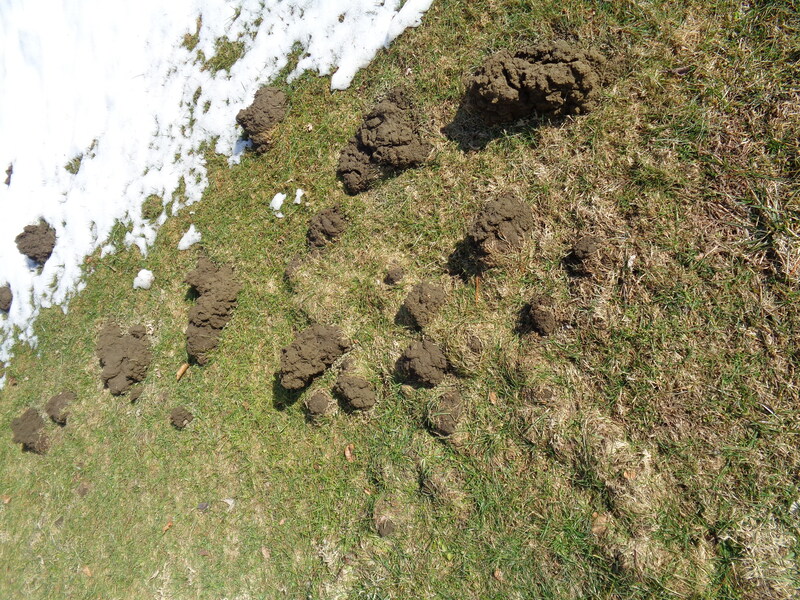 The huge piles of dirt on your lawn are caused by moles. Moles dig about 6 inches deep and leave piles of soil that are air vents. Eighty percent of moles’ diets are earthworms and the remaining 20 percent is soil insects and grubs. They do not eat plant roots but they leave roots hanging into the empty tunnel so the roots dry out. Moles are controlled by use of repellents usually made with a castor oil extract and are watered in the soil. When using any repellent, follow directions and application rates provided on the package label.There are also baits available. Follow the instructions on the label and also be aware that the baits can also be dangerous to your pets. Make sure your pets don't get into contact with the baits. Controlling grubs may also help to minimize mole damage. Here is a fact sheet with information on how to control moles.